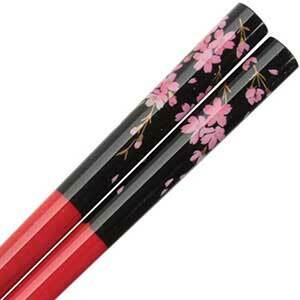 A collection of less expensive Japanese style chopsticks typically made in China or Japan. Excellent, durable, and inexpensive chopsticks for everyday use. 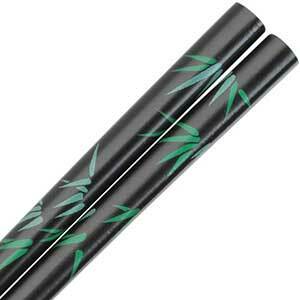 Beautiful satin black chopsticks with bright green bamboo leaves design. These Japanese style chopsticks have round handles with smooth tips, a durable finish, and are 8-7/8 inches long. Made in China. Add a nice touch to your table. Black Chopsticks with Red Striping. These extra long Japanese style chopsticks are 9-3/4 inches long with smooth tips and blended profile handle. Made in China. These will not fit standard length boxes or sleeves. Black Japanese style wood chopsticks with a carved twist. Chopsticks are 9 inches long with smooth tips and rounded ends. The upper part of the chopstick is carved in a twisted pattern showing the natural wood underneath. A unique and beautiful chopstick. Made in China. Elegant bamboo boxed set of 5 pairs of Japanese style chopsticks with different patterns and colors on the handles. Chopsticks are 9 inches long, with blended profile handles and smooth tips. Made in China. 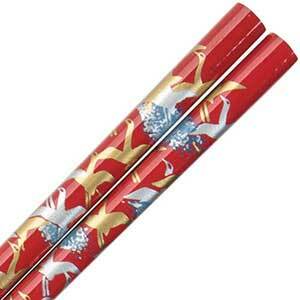 This boxed set features a beautiful assortment of colors with cranes on lacquered chopsticks. Each set includes black, red, white, green and purple chopsticks with elegant gold and silver cranes. 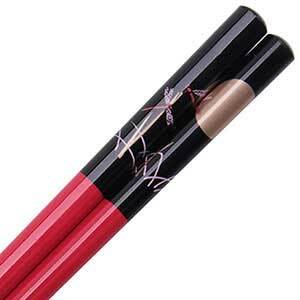 Chopsticks are 9 inches long, with blended ends and smooth tips. Made in China. Japanese style chopsticks. Packaged in a nice paperboard gift box. Excellent as a gift. 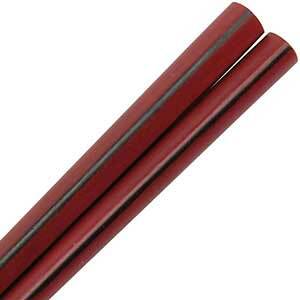 Deep Red Chopsticks with Black Striping. These extra long Japanese style chopsticks are 9-3/4 inches long with smooth tips and blended profile handle. Made in China. These will not fit standard length boxes or sleeves. 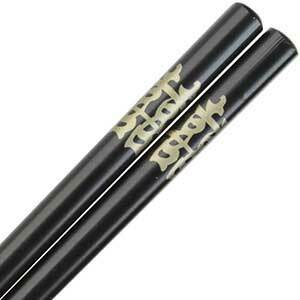 Black painted Japanese style chopsticks with gold double happiness kanji. Double happiness is a good luck and happy wish. 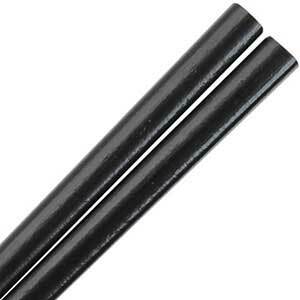 These chopsticks are excellent for birthday parties and weddings. 8-7/8 inches long, smooth tips and blended profile handles. Made in China. Red painted Japanese style chopsticks with gold double happiness kanji. Double happiness is a good luck and happy wish. These chopsticks are excellent for birthday parties and weddings. 8-7/8 inches long, smooth tips and blended profile handles. Made in China. White painted Japanese style chopsticks with gold double happiness kanji. Double happiness is a good luck and happy wish. These chopsticks are excellent for birthday parties and weddings. 8-7/8 inches long, smooth tips and blended profile handles. Made in China. 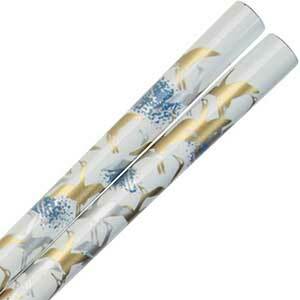 Silver painted Japanese style chopsticks with gold double happiness kanji. Double happiness is a good luck and happy wish. These silver and gold chopsticks for sale are excellent for birthday parties and weddings. 8-7/8 inches long, smooth tips and blended profile handles. Made in China. Black Japanese style chopsticks with a blue and gold Chinese dragon wrapped around the handle. Blended profile handle and smooth tips. 9 inches long. Made in China. 1 pair of chopsticks. Red chopsticks with a blue and gold classic Chinese dragon design wrapped around the shaft. Celebrate your inner dragon. Blended profile, 9 inches long. Made in China. Japanese style chopstick. 1 pair of chopsticks. Black Japanese style chopsticks with gold and silver dragonflies with blue stripes. 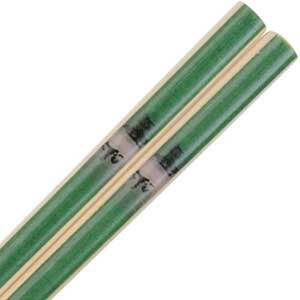 The chopsticks are 8.875 inches long with smooth tips and blended profile handles. Made in China. 1 pair of chopsticks. Bold gloss red chopsticks with beautiful classic style image of dragonflies and moon on black background. Textured tips for easy gripping of food. 9 inches long and Chinese made. Japanese style chopstick. 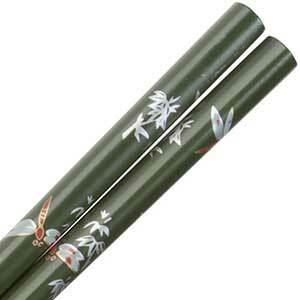 Olive green Japanese style chopsticks with silver dragonflies with red accents and silver foliage. 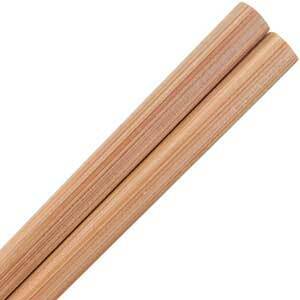 Chopsticks are 9 inches long, with a blended profile and smooth tips. 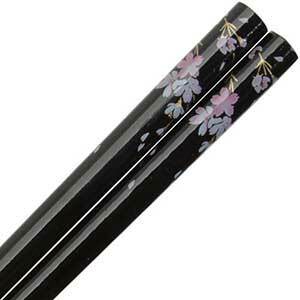 The chopstick tapers from a round handle to a square fine point on the tips. Made in China. Red Japanese style chopsticks with gold and silver dragonflies with blue stripes. 8.875 inches long. The chopsticks have smooth tips and blended profile handles. Made in China. 1 pair of chopsticks. Simple red chopsticks with elegant gold fan pattern decoration. Great for everyday use. These Japanese style chopsticks are 8.875 inches long, with smooth tips and blended profile handle. Made in China. 1 pair of chopsticks. Simple black chopsticks with elegant gold fan pattern decoration. Great for everyday use. 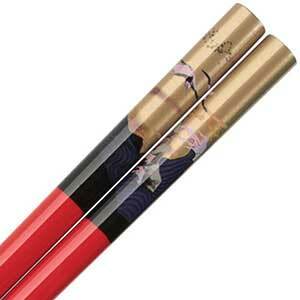 These Japanese style chopsticks are 8.875 inches long, with smooth tips and blended profile handle. Made in China. 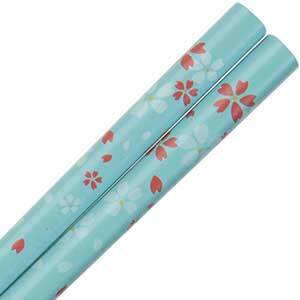 Bamboo chopsticks with floral patterns on colorful backgrounds. 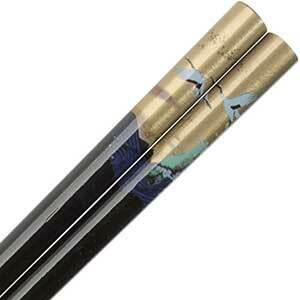 Set of 5 pairs of Japanese style chopsticks in a clear cellophane sleeve. Chopsticks are 9 inches long with blended profile handles and ribbed tips for easy gripping of food. Made in China. 1 pair of chopsticks. 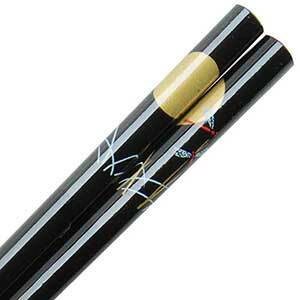 Bold gloss black chopsticks with beautiful image of butterflies with a gold moon and grass. Textured tips. 9 inches long and made in China. Japanese style chopstick.